With a gross merchandise volume (GMV) worth RMB 22.97 trillion (EUR 3.10 trillion) in 2016, and a year-on-year increase of 25.5%, China is the world’s largest growing e-commerce market. China Ministry of Commerce (MOFCOM) has published the Working Points on E-Commerce and Informatization which indicate the areas on which China will focus in order to improve e-commerce development. China will further develop the regulation of the market, while improving the rights of both consumers and e-commerce companies. 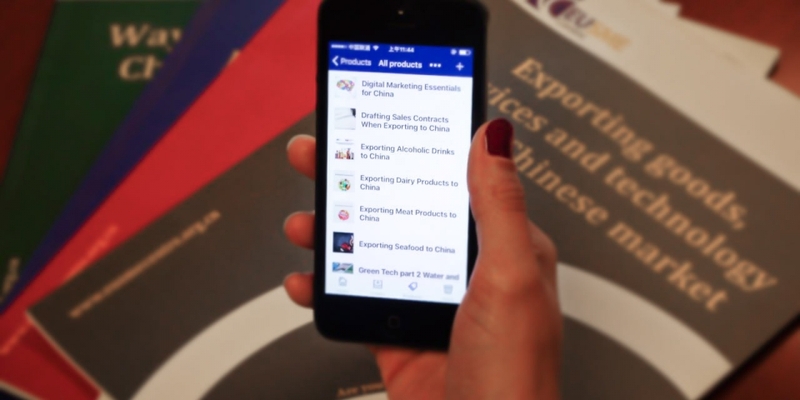 B2B e-commerce has the largest market share, but trends as Cross-Border E-Commerce and M-Commerce are rapidly growing in China due to the increased use of mobile phones and tablets. Chinese consumers have the possibility to purchase a wide range of products through their mobile phone, from everyday goods, to luxury good as well as purchasing cinema tickets, booking trains and obtaining restaurant coupons. This guideline will introduce you to China’s e-commerce market by analysing recent policy changes, outlining consumer behaviour and advising on best practices when selling your product through China’s most used platforms, including payment methods and logistics. Read the guideline and learn how to walk China’s online routes!